Description: Still wondering how to start your own account on social media? 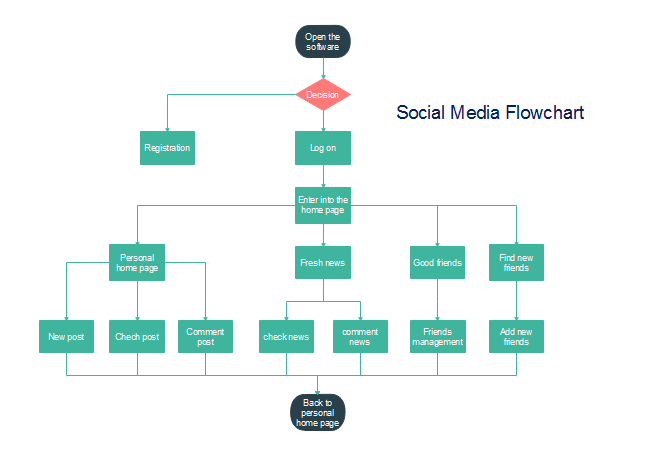 This social media flowchart template shows you the way! This social media flowchart created by Edraw Flowchart Creator gives a clear instruction about how to get started on a social media software. Download it for free and customize your own flowchart for your favorite social media.